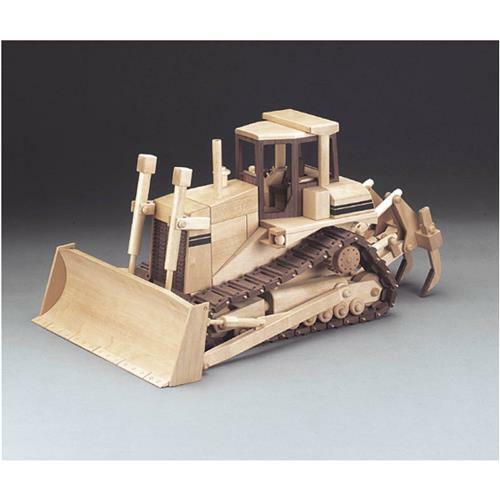 Build yourself a High Track Dozer with these plans. I received the caterpillar and have it all put together. The track system was not like Caterpillar's so I changed it. The tracks I put on it had 500 pieces of wood and looked real. Thank you for making this product. Hi. from Scotland !, bought this set of plans for my winter project. I have started to cut out the pieces sized from the plan, it is all very well set out on the plans. They are easy to understand. All Good.